You likely use metal kitchen utensils all the time. You would hardly think twice of using a metal knife. In the same way, it is entirely normal that a blender or food processor has metal blades. You use metal implements to cook and bake because you expect the material to be strong, sharp, and resist wear and tear. However, as a Cuisinart product proved, you can encounter kitchen tools made with inferior metal parts that lead to dangerous situations and injuries. 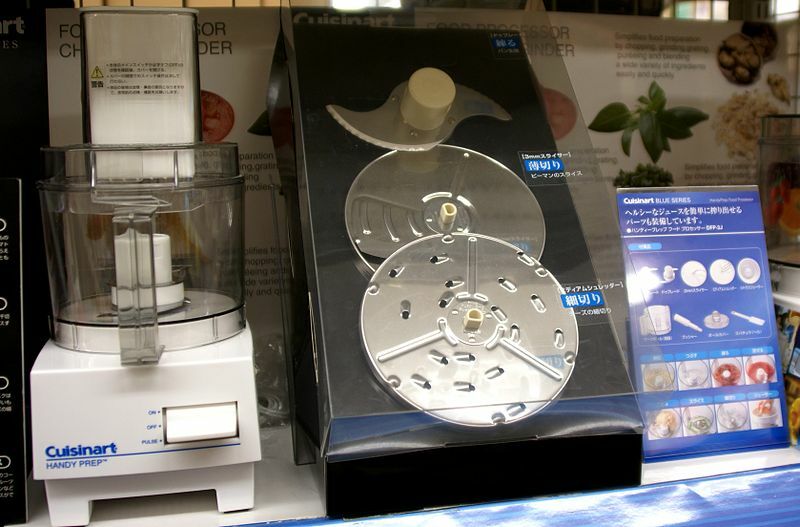 Conair recently recalled approximately 8 million Cuisinart food processors because of reports that pieces of the blades were breaking off into food. Conair received 69 reports of broken blades, 30 of which included information about tooth injuries and lacerations inside the mouth, the Consumer Product Safety Commission reported. If you have been injured due to a defective productive like the Cuisinart food processor, you should speak with an attorney about bringing a product liability claim in court. California product liability law is complex, and it is best to have an experienced lawyer on your side if you need to recover compensation. When you file a product liability claim in court, you must prove that a product was incorrectly or dangerously made or designed. If you claim that a product has a defective design, you must provide the court with evidence that the design was inherently dangerous and that there were better ways to design that particular product. If you simply claim it was defectively constructed, then you are saying the design is theoretically fine, however the product was made incorrectly, causing it to be hazardous. You might also claim that the design was sufficient except for the fact that the product lacked sufficient instructions or warnings about potential dangers. For each of these arguments (design defect, manufacturing defect, or lack of warning), California allows you to bring a claim based on strict product liability. Strict liability is a legal concept that means the defendant can be held entirely responsible for an injury without any evidence of a wrongful, careless, or reckless act. While many injury claims are based on the theory of negligence, you do not have to prove the defendant acted negligently if you argue they are strictly liable. None of the elements of a strict product liability claim have anything to do with the defendant doing something wrong. The defendant is liable for your injuries because it is responsible for the damage its product caused. Some or all of the 30 individuals who reported injuries due to the Cuisinart food processor’s broken blades may have the right to bring a product liability claim against Conair or another party involved with the design, manufacturing, distribution, or sale of these tools. If you suffered an injury due to these food processors or a different defective kitchen appliance, contact the San Francisco product liability attorneys of Brod Law Firm today. You may be able to bring a strict product liability claim in order to obtain compensation for your injuries. Call us today at 1 (800) 427-7020 or email us to schedule a free consultation.